If you live in Sydney and you’re trying to adopt a Bengal kitten or Bengal cat, your best choice is to go to a Bengal breeder. These are people who specialize in this breed and really understand the personality traits and how to care for them. If you’re hoping to find a Bengal cat at an animal shelter, you’re out of luck. Bengal cats are an exotic breed and this makes it extremely unlikely one will ever end up there. Finding a Bengal cat breeder in Sydney can be difficult, but we’ve done all of the hard work for you. 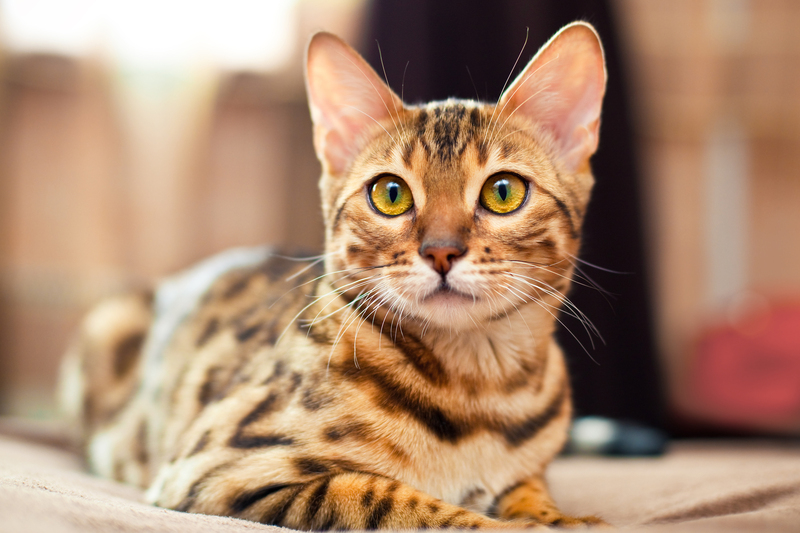 We’ve spent hours researching to find all of the different Bengal cat breeders in Sydney and below you can see our list. Use the information below to research and feel free to contact the breeders if you have questions. How They Describe Themselves: Currently breeding highly contrast Brown Spotted, Lynx & Mink (Snow) Bengals. Importing and exporting Bengal cats from country's including Russia, Canada, China & USA all exceptionally well bred, tested and shown. Our kittens and cats are known for their fabulous temperament and outstanding big rosettes making super household family pets. How They Describe Themselves: We are an in home, closed cattery. This means we keep a small number of breeding queens, and limited studs which we do not use to breed any cats but our own. We feel this way we can provide each cat, and future kittens the best and more intimate care. All our cats are tested negative for PK, HCM, FIV, and Felv to ensure the healthiest new family member for you. How They Describe Themselves: We are passionate about breeding top Quality Bengals, specializing in wild looks as well as loving natures. Health testing is a priority, we DNA test all our adult Bengals as well as regular specialist Veterinary screenings. We take pride in ensuring our kittens have the best possible start in life & we will always provide lifetime support for our kittens. How They Describe Themselves: We focus on health, wild looks and temperment. All of our Bengal kittens go to their new homes desexed, vaccinated, microchipped, healthy, socialized, eating solids, using a litter box and ready for their next adventure. Not finding what you want with the Bengal cat breeders in Sydney? Sometimes this happens as most small catteries only have one or two litters per year. If you’re looking to adopt a Bengal kitten or adopt a Bengal cat, you have two choices. First, you can find out from the breeder(s) above when litters are expected and be put on a waiting list. Or, you can contact breeders in other areas near you.